Zelda producer Eiji Aonuma wants to keep providing surprises with the next Zelda, and is aware of the significance of continuing the franchise. That’s what Aonuma said in recent interview in the June issue of Nikkei Trendy, as covered by website Japanese Nintendo. The Legend of Zelda: Breath of the Wild has been received amazingly well, and many consider the game one of the best games in the series. Released on both the Nintendo Switch and Wii U, Breath of the Wild is Nintendo’s largest Zelda title to date, and more content is being added through DLC packs – a premiere for a mainstream Zelda game. 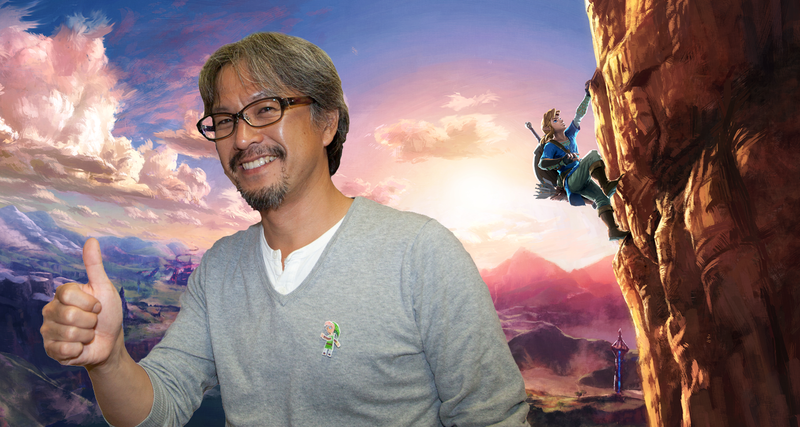 In the interview with Nikkei Trendy, Aonuma talked about the reception of Breath of the Wild, and the future of the series. According to the Zelda producer, the ‘reform’ to an open-air Zelda surprised players, and exceeded their expectations – a thing that Aonuma wants to accomplish with the next Zelda as well. “First of all I think the point that ‘this is a Zelda’ is big. It’s a series that has been continuing for a long time, if I am to put it in words then perhaps everyone would have thought it’s not that simple to do a ‘reform’. Zelda Breath of the Wild was released back in March of this year alongside the Nintendo Switch, and it will take quite some time before we see a new Zelda installment. Still, it’s encouraging that Aonuma is already talking about a new Zelda game.